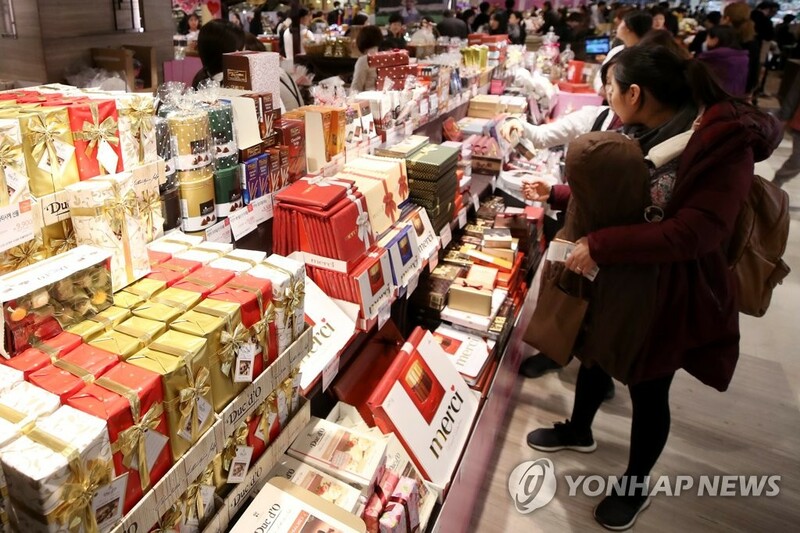 SEOUL, Feb. 11 (Yonhap) -- Valentine's Day chocolate givers are switching back to buying packaged sweets instead of making their own, according to sales records from a leading online mall on Monday. Auction, an open market internet mall, tracked chocolate sales in the Jan. 25-Feb. 7 period from 2015 to 2019. Results showed that 41 percent of the sales were of do-it-yourself products in 2015. The figure slid to 11 percent this year. By comparison, purchases of finished products rose from 39 percent to 51 percent. "Tastes are becoming more high-end and inclined to convenience among people in their 20s and 30s who are the biggest consumers for Valentine's Day," an official at Auction said. "Imported chocolates and finished products are likely becoming more popular over DIY products for their appearance and packaging."